Usually, when a recipe seems convoluted and complicated, I simply plan ahead. I shop early, scouring shops all around town and ordering items online if necessary, and then I block out a day to spend uninterrupted in the kitchen. However, even my gung-ho-edness has its limits. While I have yet to encounter a recipe that requires me to corral a pig, I return time and again to my basic book of Nicaraguan cookery: 50 años en la cocina con doña Angélica, to read, for sheer entertainment’s sake, the recipe printed on page 58 of the 9th edition (published 2006): iguana en pinol. This plato típico (traditional dish) calls for one whole iguana, peeled. Just like that. Some recipes are indeed better left alone. 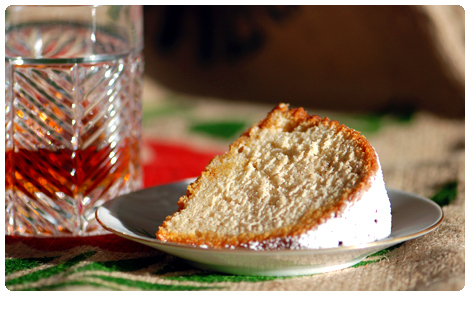 For your reading enjoyment, I have translated the recipe. -A day ahead, lightly toast the corn, without letting it brown; mill it in the machine, leaving a bit coarse and store it. 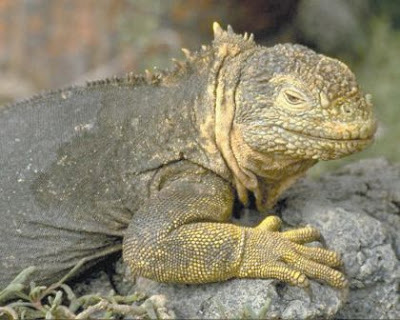 -Early the following day, buy the iguana at the market with its corresponding ration of eggs; wash it well with the sour orange juice, cut it into small pieces and boil it in the salted water, along with the garlic cloves, the onion, and the peppercorns, until it’s soft; remove it from the fire, and strain it. Reserve the liquid. -Measure out 4 C. of the corn you toasted and milled; add the reserved broth, and return it to the heat, stirring constantly until thick and well cooked. In a casserole that can be presented at the table, fry the (3) onions in the (2 C.) lard over moderate heat, until the are lightly golden; add the cooked corn, the ground pepper, and sour orange juice to taste; cook everything over low heat, taking care that it doesn’t dry out. -Add the iguana and cook a bit longer. -Fry the (6) sliced onions in ¼ C. lard and reserve both. -Boil the eggs for 3 minutes in boiling water with chili and reserve, warm. -Serve the iguana in the casserole/serving dish, and drizzle over it the onions and lard. Garnish with the eggs.